Glycolic acid or salicylic acid: Which is better for you? Both glycolic acid and salicylic acid are hydroxy acids, but they can be used to tackle different skin issues. They each lightly exfoliate, penetrate the skin and are considered to be active ingredients that should be used with care. And using them properly and regularly can yield fast and long lasting results in skin texture and complexion. Glycolic acid is an AHA or alpha hydroxy acid, is water soluble, and naturally occurs in sugar cane, sugar beets, and pineapples. Alpha hydroxy acids loosen the glue that holds together skin cells and facilitates the exfoliation of your topmost layers of dead skin. Because it helps encourage cell turnover, it can be used regularly to treat and reduce scars, hyperpigmentation, and wrinkles. Other AHAs include lactic acid (made from milk), mandelic acid (made from almonds), and malic acid (made from apples). However of all the AHAs, glycolic acid has the smallest molecules and so penetrates your skin more deeper than the other AHAs. Glycolic acid can be found in concentrations from 5 to 30% and the higher the concentration, the more potent the solution of glycolic acid. Using a lower concentration and building up over an extended period of time will help your skin become accustomed to the strengths with less irritation. Glycolic acid sun sensitivity: All AHAs including glycolic acid increase your skin’s photosensitivity, so you must wear sunscreen if you plan on using using an AHA. These effects can remain for 7 days after using an AHA. If you do not wear a sunscreen, you may end up with even more damage to your skin than before using the AHA. Glycolic acid benefits include powerful exfoliation for better skin texture, reduction in skin scars, spots, and surface wrinkles and fine lines. Learn more about AHAs like glycolic acid, the science behind its process, and how to use in our guide to AHAs. Salicylic acid is a BHA or beta hydroxy acid which is either naturally derived or biosynthesized from bark of the willow tree. Unlike AHAs which are water soluble, beta hydroxy acids are oil soluble, which means they are able penetrate deeper than your skin surface and deep into your pores. Beta hydroxy acids or BHAs lightly exfoliate your skin’s top layers on their way deeper into your skin where they exfoliate excess oil and dead skin in your pores. Note: You should not use BHA or salicylic acid if you’re pregnant. This penetrative action makes BHAs great for treating all types of acne, from surface whiteheads or blackheads to deeper cystic acne. Not only do BHAs, like salicylic acid, penetrate and treat acne, but they also have antimicrobial and anti inflammatory properties that helps treat against future acne. Salicylic acid can be found in concentrations from 1 to 10% and is best used at low concentrations like 2%. Higher concentrations do not show extra results. BHAs like salicylic acid do not make your skin more sensitive to the sun and its damage. You can safely use a BHA even if you do not wear sunscreen. Salicylic acid benefits include light surface exfoliation for improved skin texture and treatment of existing and future whiteheads, blackheads, and acne. Learn more about BHAs like salicylic acid, the science behind its process, and how to use in our guide to BHAs. Still not sure which one to use? Can you use both? If you have oily and acne prone skin or you have sensitive skin that cannot tolerate most alpha hydroxy acids, then salicylic acid or beta hydroxy acids are better for you. But if your primary concern is sun damage or you want increase the hydration in your skin, then glycolic acid or alpha hydroxy acids will help you. You can also certainly use both. Because they are able to penetrate and act at different levels of your skin, you can use them in combination to deal with skin issues in a wider range. However, we do not recommend that you add both to your skincare routine at the same time. Both salicylic acid and glycolic acid are active ingredients that have immediate results and it is very easy to over exfoliate your skin by getting overzealous and starting both. We recommend adding one, using it for a few weeks, and then adding the second option. This way you’ll be able to determine which acid is showing results and how much results. You can also alternate using salicylic acid and glycolic acid depending on how your skin is feeling that day or week. If you see an acne spot coming on, spot treat it with salicylic acid. Or perhaps your skin could use some hydration or surface exfoliation – then you can give it some glycolic acid. If you want to alternate products, again please pay careful attention to your skin and make sure that you do not over exfoliate. If your skin feels tight no matter how much moisturizer you use or you experience peeling, stinging, or redness, you may have over exfoliated and you should stop all acid use immediately and work on repairing your moisture barrier. Next, we’ll take a look at how both or either acid can help treat some of the most common skin issues and the studies that have been done to prove this. Glycolic acid or salicylic acid for acne – which is better? Salicylic acid, but both can be used together. Because salicylic acid penetrates from the topmost layers of skin and deeper down into your pores than glycolic acid can, it can better target acne at its source. Glycolic acid doesn’t do as much for the deeper layers but it is a very potent exfoliator for your topmost layers of skin. To target a greater range of skin layers, from surface to pore level, a combination of salicylic acid and glycolic acid can be used to treat skin more thoroughly. In one study, a solution of 1% salicylic acid, 10% glycolic acid, and botanical ingredients were used on 25 male and female volunteers with acne and the study showed significant improvements in both inflammatory and non inflammatory acne lesions. Which one is better for sun damage – Glycolic acid or salicylic acid? Glycolic acid shows good results when use to exfoliate and remove fine lines, wrinkles, and melasma, all issues that can show up with excessive sun exposure and aging. Nearly any of the alpha hydroxy acids (AHAs) can used to reverse effects of sun damage and aging. Just remember, be sure to wear sunscreen during AHA use and for at least 7 days after, otherwise you risk damaging your skin further rather than reversing previous damage. Which one is better for keratosis pilaris – Glycolic acid or salicylic acid? Keratosis pilaris or KP is a frustrating skin issue that sets in with a vengeance and refuses to go away. It is a harmless skin problem but can affect your self confidence because it is so visible and difficult to hide using makeup. However, AHAs like glycolic acid can successfully reduce if not entirely remove keratosis pilaris. Keratosis pilaris results when your body overproduces a protein called keratin which then ends up getting trapped in your follicles and creates hard raised bumps visible on your skin’s surface. It is not contagious and normally not painful. As you have learned by now, both BHAs like salicylic acid and AHAs like glycolic acid help exfoliate your skin layers. And since KP is an accumulation of keratin in your follicles, both salicylic acid and glycolic acid can help treat keratosis pilaris. Glycolic acid can help exfoliate the top layers of your skin and help open the plugged hair follicles that are causing keratosis pilaris while salicylic acid treats the buildup of keratin in the follicles. So using a low concentration salicylic acid and a 5-10% glycolic acid in combination can help treat keratosis pilaris. Be sure to add a moisturizer alongside these acids to help speed up your skin repair and reduce dry patches. Also be sure to alternate days with each acid and to start slow by skipping a day until your skin becomes accustomed to acid use otherwise you risk over exfoliating on top of keratosis pilaris. Lactic acid vs glycolic acid: Which works better? Both lactic acid and glycolic acid are alpha hydroxy acids. Glycolic acid is considered to be the stronger of the two, but stronger doesn’t always equal better. Both lactic acid and glycolic acid can be used at different concentrations to effectively target a host of skincare issues, from improving acne or skin texture, reducing fine lines and discoloration, and reversing sun damage and aging symptoms. Lactic acid is an AHA, or an alpha hydroxy acid. It is naturally occurring in milk and is made when milk goes sour. Our body also creates it when it converts food into energy. Lactic acid as a solution is also used as a food additive as preservative or for flavor. Other AHAs include glycolic acid, mandelic acid, and malic acid. Lactic acid is one of the most common type of AHA and is available in a wide range of concentrations, making it a great beginner and advanced alpha hydroxy acid. You can use it in a lower concentration when you’re starting out in your acid exfoliation journey as well as in stronger concentrations once your skin has become accustomed to chemical exfoliation. Lactic acid can be found in concentrations as low as 1% to 50% or more but we do not recommend getting a double digit concentration if you’ve never used an alpha hydroxy acid before. Start with a low percentage like 5%, follow the directions to use sparingly every few weeks until your skin is used to acid exfoliation before trying a stronger lactic acid product. All AHAs, including lactic acid, make your skin more vulnerable to sun damage. Your skin is extra sensitive to sun damage for up to 7 days after you use an AHA. So you must wear sunscreen while using an AHA like lactic acid. AHAs help reverse visible and invisible damage done by the sun’s ultraviolet rays and if you don’t use an sunscreen daily alongside AHA use, you risk canceling the positive effects of the AHA and experiencing further damage on top of it. So please use sunscreen daily! As an AHA, Lactic acid benefits include exfoliation of top skin layers for better skin complexion and texture, decreasing skin scars and spots, and reducing fine lines. This article will compare lactic acid with glycolic acid, but if you want to learn more about AHAs or other types of AHAs, read our guide to AHAs. Glycolic acid is an alpha hydroxy acid or AHA. It is naturally occuring in sugarcane and pineapples but many of the forms found in skincare products is created from scratch to make it a more stable ingredient with a longer shelf life. Amongst the types of alpha hydroxy acids, glycolic acid has the smallest molecule size. This means that it is able penetrate deeper than other AHAs like lactic acid or mandelic acid, and so is the strongest of the alpha hydroxy acids. So you should use glycolic acid carefully. Glycolic acid can be found in concentrations from 2% to 50% and more. Given that it is a highly penetrative acid, we highly recommend starting with a low concentration like 5% so that your skin can become accustomed to alpha hydroxy acid before moving onto a high concentration that your skin may not tolerate. Using a high concentration of a powerful acid like glycolic acid without preparing your skin or building up tolerance can lead to a damaged moisture barrier, severe skin peeling, redness, burning, and irritation. In fact, you can literally give yourself 1st degree burns if you try to use a high % glycolic acid right off the bat. So build up tolerance slowly and use a lower concentration glycolic acid to protect your skin. In fact, using a lower concentration glycolic acid product more frequently over time will give you better results than a one time drastic use of a high percentage glycolic acid produce. Like lactic acid, you must wear sunscreen everyday if you want to use an alpha hydroxy acid like glycolic acid. Protect your skin from further UV damage while you reverse existing UV damage. All alpha hydroxy acids increase your sun sensitivity for up to 7 days after use. If you don’t use sunscreen, you risk damaging your skin further instead of repairing it. Glycolic acid offers the same benefits as lactic acid but at a greater strength than lactic acid. However, just because it is stronger doesn’t always make it the better way to repair scars, fine lines, skin texture and complexion. Depending on your skin, you may find that a less potent acid used more frequently works better for you. To learn more about alpha hydroxy acids, read our guide to AHAs. This is a common question from people looking to choose one or the other for their skin issue: Lactic acid or glycolic acid – which one is better? As we’ve mentioned, neither is a categorically better choice and each has its benefits. A lot has to do with your skin and its sensitivity. Sensitive skin types or those dealing with a damaged moisture barrier and experiencing the highly irritated skin that is a result, might do better with lactic acid. Lactic acid offers the same benefits as its stronger sister, glycolic acid, but because it has a larger molecule size, it does not penetrate as deeply. People with sensitive skin will find lactic acid to be the gentler acid between two. Using lactic acid at a 5% or 10% concentration every few weeks will help you get the results you want in time without irritating your skin to the point of no return. On the other hand, you may be an acid veteran and be looking for the next potent option, or you may have noticed that your skin is resilient and is able to tolerate exfoliation well. Glycolic acid is your friend, in this case. If you can tolerate it naturally or have built up your tolerance for it, glycolic acid offers a range of benefits at a much faster rate than lactic acid. Another question we get is – can I use glycolic acid and lactic acid together? Technically you can. But they do the same thing as different concentrations and at a different time frame. We can’t think of a reason you would need to use two separate products of a lactic and a glycolic acid together, and you run a high risk of overdoing it and damaging your skin’s natural moisture barrier. It would be better to find which ones works better for your skin type and sensitivity and use that over the course of a few months and then reevaluate if you need a higher strength product or maybe a different one. However, certain products may combine the two to make a combination peel or solution. Depending on your skin and the severity of the problem you are targeting, you may get great results from a combination because it is able to target the issue at two different penetrative depths. These types of peels or solutions are most commonly used in professional environments under the direction of an esthetician or dermatologist, but a few are available over the counter. The next section will take a look at the various benefits of lactic acid, glycolic acid, and alpha hydroxy acids in general and draw from scientific research to compare the two acids. They are both alpha hydroxy acids which work to remove top layers of skin and dead skin cells, a process that also unclogs pores. So both glycolic acid and lactic acid are effective in reducing and preventing acne by exfoliating to open comedones and remove blackheads and whiteheads. So both glycolic acid and lactic acid have been shown to effectively treat current and prevent new acne. Alpha hydroxy acids like lactic acid and glycolic acid help hydrate your skin in 2 different ways. First, they slough off top layers of dead skin cells revealing new skin underneath. Now when you apply a moisturizer, you’re able to apply it directly onto skin’s surface on new skin cells. Alpha hydroxy acids are hydrophilic, meaning they attract and bind water to your skin’s surface, improving hydration and skin texture. Dry skin is usually a combination skin issue, in that it is usually accompanied by other issues such as irritation and discomfort, visibly scaly skin that sheds, and overall skin texture problems. Alpha hydroxy acid can help with many of these issues as well in addition to hydrating your skin and improving dry skin. Which one is better for sun damage – Glycolic acid or lactic acid? Both alpha hydroxy acids can be very effectively used to get rid of sun damaged skin symptoms like fine lines or melasma. Even though glycolic acid is considered to be stronger because it has a smaller molecule size and so penetrates deeper, both can be used equally effectively. Using a low concentration acid, either lactic or glycolic acid, over the course of 6-8 weeks can give you incredible results comparable to a high concentration solution of just glycolic acid. In fact, this method can help you manage some less than savory side effects that come with using a high concentration acid like severe peeling or skin shedding. Since lactic acid works in the same fundamental ways as glycolic acid, lactic acid can show similar results for melasma. Alpha hydroxy acids like glycolic acid and lactic acid has also been shown to reduce fine lines and surface wrinkles by increasing collagen production in your skin. Both lactic and glycolic acid can help improve hyperpigmentation from photodamage (sun damage) or acne scars because they help speed up skin cell turnover and reveal new skin underneath. Both glycolic acid and lactic acid can help reverse skin darkening that are superficial like sun tans or with tinted tanning lotions by removing top layers of skin to reveal new skin that is your natural and original skin color. Please note an important distinction here. Neither of these alpha hydroxy acids will lighten your skin more than your natural skin, only lightens tanned or discolored skin back to your original skin. So if you’re looking to lighten your skin to a shade that is lighter than your natural tone, then you may not have much success with alpha hydroxy acids. However, if you are looking to remove a tan or other discoloration, then alpha hydroxy acids can provide great results also found in scientific studies that we discussed in previous sections. In conclusion, both glycolic acid and lactic acid can offer similarly excellent results in lightening skin discoloration like tans or scars, improve skin texture and complexion, and reduce and prevent acne. To learn more about hydroxy acids, check out our introduction to AHAs (alpha hydroxy acids) or our complete guide to BHAs (beta hydroxy acids). We’ve all heard of Vitamin C. It is in many foods that we eat with its quantity listed on the nutritional labels of various foods, or a popular cold and allergy preventative. We know that it is good for us and that it offers a great many benefits for our skin health. But did you know that there are 2 ways to deliver Vitamin C to your skin? You can eat it via food or you can use a topical Vitamin C serum that delivers it directly to your skin. Both methods have their own benefits and by understanding how Vitamin C works in your skin via scientific data, you can make a more informed choice about how to maximize these benefits for yourself. Vitamin C is a water soluble vitamin that we all eat everyday via fruits and vegetables and is a popular skincare ingredient with several impressive benefits including repairing sun damage, reversing aging, speeding up wound repair and hydrating dry skin. L Ascorbic Acid is a a common type of Vitamin C and you may even see Vitamin C and Ascorbic Acid used interchangeably, but there are actually many more types of Vitamin C than just Ascorbic acid. Like alpha hydroxy acids (AHAs) and beta hydroxy acids (BHAs), Vitamin C is an active ingredient that has direct results on the skin. Vitamin C is an antioxidant and an essential nutrient involved in the repair and maintenance of your body’s connective tissues. It is key cofactor for enzymes involved in making collagen (keeps your skin plump), carnitine (helps body turn fat into energy), and catecholamine (neurotransmitters, or hormones that help deliver signals to your brain), and plays a vital role in several immune system functions. Its antioxidant and collagen synthesis properties make Vitamin C an important molecule for skin health. Studies show that eating Vitamin C rich foods and applying Vitamin C on your skin surface both have beneficial effects for the skin, both internally and on the visible surface. Our bodies cannot make Vitamin C and so must we must eat it everyday to get enough for our body processes. Fruits and vegetables are high in Vitamin C and so if you do not eat much of this food group, you could be suffering from some level of Vitamin C deficiency. Symptoms of Vitamin C deficiency can include dry skin and hair, easy bruising and gingivitis and bleeding gums. Topical application of Vitamin C has shown improvement in pigmentation and texture to reversing age and sun damage like melasma and wrinkling. Vitamin C serums can help even out your skin tone, protect it from sun damage and pollution damage, help improve hydration in your skin. And paired with regularly sunscreen use, Vitamin C can slow down aging in skin both by reversing existing damage as well as preventing future damage. Compared to AHAs which make your skin more susceptible to sun damage and BHAs that do not, Vitamin C also do not increase photosensitivity and go a step further. Vitamin C also treats existing UV damage while preventing future damage. It is not a sunscreen because it doesn’t absorb UV rays, but it limits the damage that UV can do to skin. Vitamin C and Ascorbic acid are used interchangebly, but actually Ascorbic acid is just 1 of the many times of Vitamin C. In skincare products, you may find a different kind of Vitamin C in the ingredients list like Sodium Ascorbyl Phosphate (SAP) or Magnesium Ascorbyl Phosphate (MAP). Later in this guide, we’ll go over a more complete list of Vitamin C types so that you can easily recognize them in skincare product ingredient lists. Next up is the science behind the claims to Vitamin C. We’ll take a look at the studies behind each of the main benefits purportedly offered by using a topical Vitamin C on your skin. If you’d like to add a Vitamin C source to your skincare routine, see our product recommendations and reviews section at the end of this guide. Is there more to Vitamin C than marketing hype? Does it truly offer all of the skin benefits that we discussed above or you may have read in advertisements for skincare products? There are several studies that show the very real results that Vitamin C have in reverse and preventing sun damage and aging like wrinkles, as well as in healing wounds (both deep wounds as well surface wounds like from picking at acne) and treating dry skin. We’ll look at 3 of the most commonly proclaimed benefits of Vitamin C.
Like sunscreen, Vitamin C is said to limit sun damage to your skin by protecting it from harmful ultraviolet light. It does not work like sunscreen, which absorbs UV light in the UVA and UVB spectrum. Instead, the antioxidant properties of Vitamin C neutralize free radicals that are created when ultraviolet light or other environmental stressors like pollution or radiation interacts with your skin. If you don’t remember anything about atoms from high school chemistry, here’s a short primer. All stable atoms have equal and usually even numbers of protons and electrons. In chemical reactions, atoms lose or gain or share their electrons and become new chemical compounds. Most of the time, atoms are able to interact with other atoms to ensure an even number of electrons but sometimes, atoms end up with an odd number which leaves 1 extra unpaired electron. These are free radicals. Their unpaired electron makes them unstable atoms which then run around and cause havoc that can disrupt a healthy living cell. When free radical damage accumulates, you start seeing aging symptoms like melasma, loss of collagen, and wrinkles. The antioxidants in Vitamin C (and vitamin E) counter these radicals and prevent this disruption and damage. So you have a certain amount of Vitamin C already existing in your skin that acts as a built in biological photo protection, and this amount depletes as it targets free radicals created by the UV spectrum and other environmental pollution. Applying a topical Vitamin C can help increase these available levels of antioxidant power in your skin. Does eating Vitamin C rich foods also offer the same photo protection benefits? There is limited research on this but some studies suggest that dietary Vitamin C does not offer the same photo protection benefits. However, eating both Vitamin C and Vitamin E seems to show similar results as topical Vitamin C application. Topical formulations that contain both Vitamin C and Vitamin E are also more potent than Vitamin C alone. Consuming Vitamin C has a lot of other benefits aside from photoprotection, but if your goal is to increase protection from the sun and its UV light, then applying vitamin C to the skin is a more efficient and direct way to deliver it to your skin. As we just learned, free radicals are created when ultraviolet light and environmental pollution interacts with your skin. When these free radicals accumulate, they cause damage like collagen breakdown and wrinkles. Vitamin C can help prevent this damage by countering the effects of the free radicals AND by encouraging the production of collagen. Vitamin C stabilizes collagen to increase its production of collagen proteins which help repair the skin. Vitamin C also increases production of fibroblasts, which are the cell that produces collagen proteins and the extracellular matrix, all of which makes up your connective tissue. Fibroblasts tend to decrease as you age and produce less collagen proteins, but studies show that this process can be rejuvenated by Vitamin C.
Does eating Vitamin C rich foods also prevent wrinkles? Vitamin C has been shown to repair wrinkles caused by sun damage and aging, both if using topically as a serum and consumed in the form of food. Eating Vitamin C rich foods also show similar results, with a higher Vitamin C intake directly correlating with decreased skin wrinkles. In fact, one study even found that if you eat a lot of Vitamin C then you may not see as much benefit from a topical Vitamin C serum. This is likely because you are supplying your skin with plenty of Vitamin C to tackle radicals and facilitate collagen, even though eating Vitamin C is a slower way to get it to your skin than applying it topically. Most of us do not eat enough Vitamin C, so if you are, this is definitely deserving of self congratulations! Because Vitamin C helps facilitate certain processes that contribute to the production of connection tissue, it is also plays an important role in wound repair, both deeper wounds that involve several layers of skin as well surface wounds like from picking at your acne. During the age of exploration (1500-1800) when sea travel by European explorers on ships found routes to India and the Americas, sailors use to suffer from Vitamin C called scurvy. It wasn’t until much later that citrus fruit was found as a way to cure scurvy. In the meantime, long distance sailors fell ill to scurvy, which only took a month of little to no Vitamin C for a month. Symptoms included gum disease, mood changes, and most notably, a slowing or failure of wounds to heal. Since Vitamin C is a building block in collagen production, scurvy patients did not have enough vitamin C levels to help produce collagen at the wound site as it would be used up in the process of wound repair without dietary replenishing source. Later, in the 1800s, the British navy began prescribing lemon juice to help ward off scurvy and sailors and migrants traveled with crate of oranges on their long trips by sea. Today, scurvy is an infrequent illness and only found in areas of the world suffering from malnutrition. Lower levels of Vitamin C deficiency can be found in adults anywhere with bad diets and symptoms include sallow skin, gum disease, and other long term negative affects on your bone and heart health. Topical Vitamin C is an active, which means that it is an ingredient that has direct active action on the skin. Other actives include beta hydroxy acids (BHA), alpha hydroxy acids (AHA), and Vitamin A (retinoids and retinol). There are some differing opinions on this in the skincare world, but we believe that to benefit maximally from an active, you should leave it on your bare skin for a time period ranging from 2 minutes up to 30 minutes (depending on the potency and your skin’s sensitivity) before applying more products on top. This allows the active to directly penetrate your skin and achieve maximum benefit. For a 10-20% Ascorbic acid Vitamin C serum, we recommend a period of 20 minutes of contact time before laying on more products. Vitamin C works best at a pH level of around 3, and well formulated topical Vitamin C will have a pH level of near or at 3. When you layer on more products, you change the pH of your skin and hinder the Vitamin C from being able to affect your skin. Some products may include a pH stabilizing ingredient that helps keep the Vitamin C at the optimal pH level even if you add more products on top. These products will note this and not recommend a wait time. If you have sensitive skin and experience irritation when you use a high concentration of Vitamin C, you can also wash off the Vitamin C topical serum after 20 minutes before continuing the rest of your routine. That way you are able to benefit from the 20 minute contact time with your skin without leaving it on for hours to irritate your skin. If you want to add a Vitamin C serum to your daily skincare routine, you only need to use the serum every 3 days. Vitamin C remains in your skin for up for a 3 days period before it begins to breakdown. You do not need to use it everyday. Vitamin C serums also break down very quickly when they come into contact with sunlight and oxidize, turning an orange color. Well thought out serums should be in a blue or amber colored bottle to block sunlight, and you can keep them in the fridge to help slow down oxidation. Just remember that if your serum has turned a orange color, it has oxidized and it is time to replace it. Step 1: Wash your face with a low pH and non irritating cleanser. Pat dry. Step 2: Apply your Vitamin C serum. Follow the product recommendations for quantity but most only require 3-5 drops of solution for your entire face. You can also apply Vitamin C in your under eye area, but be sure to not get it in your eye. Step 3: Wait 20 to 30 minutes to let your skin absorb the Vitamin C. Some Vitamin C products may include a pH adjuster, so you can choose to not wait. Step 4: Continue with your skincare routine and feel free to layer on more products like moisturizer or sunscreen. 1. L Ascorbic acid (LAA) – most common form of Vitamin C. L Ascorbic acid is a unstable compound and easily oxidizes after coming into repeated contact with air and sunlight and turns orange. 2. Sodium Ascorbyl Phosphate (SAP) – a more stable and bioavailable form of Vitamin C than the more common L Ascorbic acid. Less irritating than Ascorbic acid. 3. Magnesium Ascorbyl Phosphate (MAP) – another Vitamin C derivative that is water soluble, nonirritating, and more stable than L Ascorbic acid. Unlike L Ascorbic acid which can be found from 10-30% concentrations, MAP works best at lower concentrations between 1-5%. Vitamin C is usually less irritating than acids like beta hydroxy acids (salicylic) or alpha hydroxy acids (lactic, glycolic) or Vitamin C (retinoids), but can still have some side effects. Some people can experience side effects such as redness, stinging, peeling, or even over exfoliation after using a Vitamin C serum. Vitamin C is a very acidic active so these side effects are not surprising. To avoid these side effects, we recommend starting off with a lower concentration of Vitamin C and/or starting off a serum by only using it once a week and building up after 2-3 weeks. Using a lower dosage will help with the redness and stinging and using any Vitamin C serum at a lower frequency like once a week to start with, will help your skin become accustomed and decrease the irritation. If you’re doubling up Vitamin C with a BHA, AHA, or retinoid, you may notice signs of over exfoliation because all of these are active ingredients that cause some exfoliation. If you’re experiencing tightness, peeling or flaking that doesn’t seem to go away with moisturizer, you may need to dial back the acid use. We recommend slowly introducing Vitamin C if you’re already using a different active and carefully gauging your skin’s reaction to make sure that you do not end up over exfoliating your skin. Vitamin C products come in a large price range, from $10 to $200. We’ll give you a range of options in that price range, but it is our opinion that you do not need to be spending the higher end of that range on a Vitamin C serum. Almost all of them do not have a shelf life of more than 3 months, so if it oxidizes faster than you use it, then you’ll have to buy a replacement. We’ve also found that the more expensive Vitamin C options add moisturizing ingredients that do not improve the absorption of Vitamin C by your skin and you can use other cheaper products for moisturizing your skin. Vitamin C (in the form of Sodium Ascorbyl Phosphate which is a more stable and less irritating version of Vitamin C than the more common L ascorbic acid) and so does not oxidize as fast as other serums. The formulation also absorbs very quickly, does not feel sticky, make your skin look shiny, or feel as it sits atop your skin. This is a Vitamin C serum that also has Vitamin E and Ferulic acid and if you run out before you use it, the price makes it far less painless to replace it. In our experience, Timeless Vitamin C shows many of great results of Vitamin C including brightness, improved skin texture, and reduced pigmentation within 4 weeks of regular use. This is a 20% concentration so be sure to start off slowly. 30% of the one of the highest Vitamin C concentrations available. You certainly shouldn’t start at this concentration if you have never used an active as you may experience irritation. However, if you’ve used lower concentrations and enjoyed the results and would like to take it up a notch, this is a great cost efficient option that shows good results. It also has Hyaluronic acid to help soothe and hydrate your skin while you use this very potent concentration. Paula’s choice is known for well forumulated products and this is no exception. This Vitamin C serum has Triethanolamine as an ingredient, which is a pH adjuster. So if you do not want to deal with wait times, this is a great product to try. This is a great option if you’re looking to build up your tolerance for Vitamin C from 10% to 15% to 20% within the same product line and no ingredient changes aside from a higher concentration of Vitamin C.
the benefits they offer or their side effects. AHAs are potent and if you use them without proper care for your skin, they can result in more damage than their intended benefits. AHAs also can help deal with a wide range of skin problems, from hydration to pigmentation and scars to acne to sun damage and aging. This guide will explain the benefits, side effects, different types of alpha hydroxy acids, and offer some recommendations for best performing AHA products for skin problems. What is alpha hydroxy acid or AHA? Alpha hydroxy acid, or AHA, is 1 of 2 hydroxy acids that is commonly used in cosmetic products for exfoliation, hydration. They’re especially popular in anti aging skincare products. AHAs can be synthetic created or naturally derived from fruit, nuts, sugar or dairy products. The other common hydroxy acid is beta hydroxy acid or bha. To learn more about bha, read our guide to bha or beta hydroxy acids here. Unlike beta hydroxy acids which are oil soluble, alpha hydroxy acids are water soluble and so cannot penetrate the skin like beta hydroxy acids. This makes them great for aged skin (like thickened skin) or sun damaged skin that doesn’t have acne issues. Alpha hydroxy acid is very potent in deal with the skin at the surface. AHA exfoliates the top layers of skin by breaking the bonds between outer layer skin cells, sloughs off dead skin and reveals new undamaged skin underneath. It is also hydrophilic (attracts water molecules) and helps skin retain more water and feel bouncy and hydrated. Alpha hydroxy acid makes your skin much more sun sensitive. So if you want add an AHA to routine, you MUST add a sunscreen. Otherwise you’ll be exfoliating to get new undamaged skin only to damage the young skin further with sun exposure. We cannot stress this enough: If you want to use an AHA, PLEASE USE SUNSCREEN! Otherwise you risk even more damage to your skin than if you had not used an alpha hydroxy acid at all. Alpha hydroxy acids are available in a variety of concentrations, from 1% to 50% and even higher, that are proportionally stronger exfoliants. But, you have to build up your skin’s tolerance from a lower to high concentration or you can risk over exfoliation, which is difficult to repair and can take weeks or even months. Alpha hydroxy acid helps speed up the process of removing dead skin and the topmost layers of skin. This doesn’t happen overnight, but AHA helps speed this process. This results in bringing new skin to the surface that looks bright and full. So alpha hydroxy acid is a common product in products that help fight fine lines, wrinkles, other signs of aging, and in products that help reduce hyperpigmentation, acne scars, and sun damage. Thanks to AHA’s water attracting properties, it also helps improve and condition dry skin. Routine use of an AHA over time can result in smoother, more hydrated, and firmer skin. Alpha hydroxy acids offer a number of benefits, but how many of them are backed by science. Let’s take a look at some of the main benefits of AHAs. As alpha hydroxy acid breaks the bonds between skin cells and helps speed up exfoliation, it can also open up or loosen clogged comedones that are at or near the surface of your skin. Studies show that AHA is effective in treating mild or moderate acne or helping maintain against future breakouts after a stronger acne treatment. Most of these patients saw an improvement in their acne, no matter what type of ache they had, and no matter how the AHA was prescribed for them to use, on its own or with another treatment. AHA has also been shown to reduce acne scars, post inflammatory hyperpigmentation (PIH), sun damage spots and other skin discolorations. This is thanks to how AHA speeds up exfoliation at the skin surface level. In one study, 7 Indian patients with darker skin (Fitzpatrick skin type IV-V) and acne scarring were treated with lactic acid, an alpha hydroxy acid, every 2 weeks for up to 2 months total. These patients were monitored for 3 months after the end of the treatment as well to ensure that the perceived effects of the peels were not just short term. How did it turn out? Thirty-five subjects were enrolled with a mean age of 55.6 years; 33 subjects completed the study. The IGA of the appearance of hand photodamage improved from a mean (standard deviation) score of 5.0 (0.8) at baseline to 3.1 (1.5) and 2.6 (1.3) at weeks 4 and 8, respectively (1=mild; 9=severe). Based on expert-grader evaluation, subjects demonstrated statistically significant improvements from baseline in IGA at weeks 4 and 8 in age spots and freckling at weeks 4 and 8, (P<.0003) and in skin discolorations at week 8 (P<.05). The majority of subjects reported that they perceived improvements in each of the 9 parameters associated with skin appearance. No adverse events were reported. You would guess that using an alpha hydroxy acid to remove the top most layers of skin would result in thin skin, but actually the opposite is true. In addition to AHA’s reversal of age and sun damage and discoloration as evidenced in the previous study, AHAs also help thicken your skin and increase skin elasticity and collagen density. All of these benefits help fight age related skin deterioration, like wrinkles and fine lines. Alpha-Hydroxy acids (AHAs) have been reported to improve aging skin. The mechanisms of action of AHAs on epidermal and dermal compartments need clarification. Our purpose was to determine the effects of AHAs on photoaged human skin by clinical and microanalytic means. Patients applied a lotion containing 25% glycolic, lactic, or citric acid to one forearm and a placebo lotion to the opposite forearm for an average of 6 months. Thickness of forearm skin was measured throughout the study. Biopsy specimens from both forearms were processed for analysis at the end of the study. Alpha hydroxy acid is an active. This means that it is an ingredient that has a direct and active action on skin. Other actives include beta hydroxy acids (BHA), Vitamin A (retinoids and retinol), and Vitamin C.
There is some discussion in favor and against this, but we believe that for an active to work best, it should be in direct contact with your skin for several minutes before it is washed off or further products are layered on top. This time period lets the active acid make contact and penetrate your skin undisturbed. If you wash it off, you may not have left it long enough for it act or penetrate completely. Alpha hydroxy acids also work best in a pH environment between 5 and 6, which is slightly acidic. If you layer on more products on top of your AHA too soon, you may change the pH environment of your skin and not allow the AHA enough contact time to work as well and make it less effective. With many AHAs that have a higher concentration, the directions for use will ask you to gradually increase the contact time over a series of weeks. For example, you only leave the AHA on your skin for a total of 1 minute the first time you use it, 2 minutes the next time, and so gradually work your way up to 4 to 5 minutes over the course of several weeks. The longer you leave it on, the stronger the exfoliation. But if you leave it on for 4 to 5 minutes on your first use, you’ll very likely end up with highly irritated skin that is red, experience painful stinging and burning, and a severe peel that will be difficult to cover up with moisturizer and makeup. I hope that sounds unappealing enough that you will take precautions and be patient with your skin while using an AHA! If you have never used an alpha hydroxy acid before or do not know how much AHA your skin can tolerate, it is important to patch test. You can apply a drop of the AHA on the inside of your elbow or on your neck in the same way that you would apply it on your face, and see if these areas react negatively. If they do, you now know that the AHA product is not good for your face and may have negative effects. That’s essentially a summed up explanation of how to use AHA. We’ll write a longer post on this and link it here when it’s ready if you’re interested in real studies that show the effectiveness of AHA wait times in low pHs. Alpha hydroxy acids offer a number of amazing anti-acne and anti-aging results for your skin. But they may not work for everyone as there are also a number of side effects. Alpha hydroxy acid side effects include burning, swelling, stinging, itching, redness, peeling, and skin discoloration. We all have skins of various thicknesses and various tolerance levels for AHA concentrations. Some may find that they’re only able to tolerate a very low concentration of alpha hydroxy acid and experience dramatic peeling and burning if they try an acid that is higher than their tolerance. Others may find that their skin can tolerate high levels of acid without even minor peeling or irritation. It may take some trial and error to figure out how your own skin reacts to various concentrations. You may already gathered the main differences between alpha and beta hydroxy acids, but we’ll go over them once more for clarity. Alpha hydroxy acids are water soluble versus beta hydroxy acids which are oil soluble. So alpha hydroxy acids do not penetrate your skin like beta hydroxy acids and instead work at the skin’s surface level to help exfoliate skin by dissolving the bonds between skin cells and shedding dead and topmost skin cells to reveal undamaged skin below. BHAs are oil soluble and work on the skin below surface level. Learn more about beta hydroxy acids with our guide to BHAs. Unlike BHAs which do not make your skin more sensitive to the sun, alpha hydroxy acids greatly increase your sun sensitivity. Because they exfoliate top layers of skin which are protective, using alpha hydroxy acids can make your skin more vulnerable to environmental damage (like from the sun or pollution). So it is HIGHLY IMPORTANT that you wear sunscreen if you are going to add an alpha hydroxy acid to your routine. Even some body moisturizers for dry skin or winter weather may have some form of an AHA to aid with skin hydration, so pay attention to ingredients list to make sure none of the common forms of AHA are included in the product. If they are, wear sunscreen (even if the sun isn’t out) if you plan on going outside. Not sure what the common forms of AHA are? We’ll be covering them in the next section so check that out. Both AHA and BHA help exfoliate your skin and remove sun damaged skin, but AHA does far more. AHA helps thicken your skin, improve skin elasticity, and increase collagen density. AHA also attracts water to your skin. So in addition to speeding up the exfoliation of your top most layers, AHA helps improve your skin in ways that will result in less lines and wrinkles and attract hydration to help your skin look more plump. There are several kinds of AHAs and many of them show real results in reducing hyperpigmentation, scars, and other skin discoloration. Repeat and routine use of AHAs help remove layers of damaged skin, reverse acne or sun damage, and studies have shown that pigmentation and scars can be entirely removed with an AHA. Glycolic acid is derived from sugar and has one of the smallest molecules in AHAs found in skincare. This means it can penetrate deeper than any of the other common alpha hydroxy acids. This makes it one of the strongest AHAs, but also one of the harshest if you’re unable to tolerate this level of AHA strength. Beginners should probably start their AHA journey with a different option. For experienced users, glycolic acid is a highly effective AHA that shows excellent results in all of the areas that alpha hydroxy acids are shown to improve for your skin. Lactic acid is derived from diary and people who report milk allergies should avoid this AHA. Lactic acid has bigger molecules than glycolic but smaller molecules than mandelic acid. This makes it a gentler AHA that is a great starter acid for most people. It does everything glycolic acid does but because it has bigger molecules, the effects take a little bit longer. Lactic acid is available in a range of concentrations for topical use. A 2% and above lactic acid concentration will help increase the hydration of your skin and a 5% and above lactic acid solution will also exfoliate your skin. Skincare products that promise exfoliation will normally have a 5% to 10% lactic acid concentration. Mandelic acid is derived from almonds, so if you have a nut allergy, I would try a different AHA. Mandelic acid has bigger molecules than lactic acid so it does not penetrate your skin as fast and also shows effects slower. This makes mandelic acid great for people who have very sensitive skin that is easily prone to rashes and irritation. Anyone else can use it as well if you’re looking for a routine acid that will help give you a little bit of AHA power in your routine but without needing drastic results immediately. Malic acid is made from apples but can also be created synthetically. The synthetic version is found more commonly than the naturally occurring version in skincare products, because it is easier to stabilize. Malic acid molecules are larger than glycolic and lactic acid so it penetrates more slowly like mandelic acid. Malic acid is a great supplementary AHA alongside glycolic or lactic at low concentrations, because together they are able to penetrate at different speeds and so affect the skin at different levels. Tartaric acid occurs naturally in grapes, but is also made synthetically and like malic acid the synthetic version is used in products that require a more stable acid. Tartaric acid has a very big molecule, almost double a glycolic acid molecule. 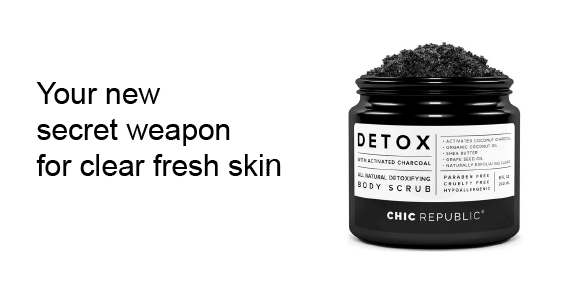 While it is able to exfoliate skin, it is used primarily as a pH adjuster to prime the way for a stronger acid like glycolic or lactic acid to go to work. However, in certain products that use AHAs with varying molecule sizes to penetrate to and exfoliate different layers of the skin, tartaric acid may be used to exfoliate the topmost layer of skin. Citric acid is derived from, you guessed it, citrus fruit. But it also is found in berries and other fruit. Like tartaric acid, citric acid is primarily used as a pH adjuster in skincare formulas that help keep it within a certain range so that other more potent acids have an optimal environment for effectiveness. Citric acid is also used for its antioxidant properties. Citric acid can be confused with Vitamin C in skincare, but they are two different compounds. Vitamin C is actually L-Ascorbic acid or ascorbic acid, which is similar to but different than citric acid. Vitamin C is also another active but it is not an alpha hydroxy acid. 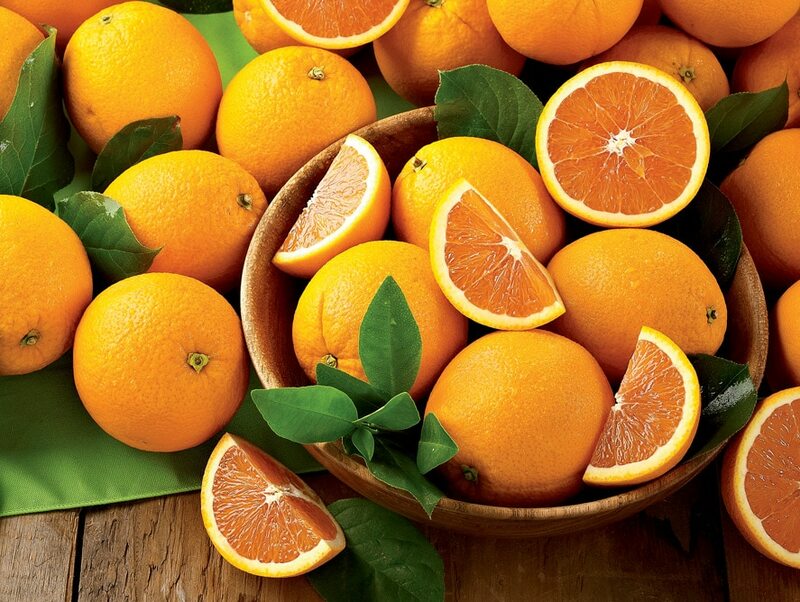 Check out our guide to Vitamin C for your skin here. If you want to add an AHA to your skincare routine, here are some of our top recommendations for different types of AHAs. Remember, please patch test on the inside of your elbow or your neck before using these on your face. The COSRX AHA liquid is an 7% glycolic acid solution in a base of butylene glycol and apple water. It also has other skin conditioning ingredients and is a gentle and well formulated AHA that is great for regular use. This is a leave on AHA and does not need to be washed off. Read more reviews of COSRX AHA 7 Whitehead Power Liquid. we’ve seen results immediately, namely plumper hydrated skin and increasing brightness during the subsequent days. Read more reviews of OZNaturals Glycolic Acid Facial Peel. The Skin Perfecting Gel Exfoliant is an 8% glycolic solution by Paula’s Choice. This is a leave on exfoliant. The Gel Exfoliant also includes an ingredient that is a pH adjuster to help maximize it’s efficacy, as well as antioxidants and skin soothing plant extracts. Read more reviews of Paula’s Choice Skin Perfecting Gel Exfoliant. When people refer to BHA or beta hydroxy acid, they are usually referring to salicylic acid, a common and effective topical treatment for acne or dandruff. But there are is more to BHAs or beta hydroxy acids than just salicylic acid or acne. So what exactly is BHA or beta hydroxy acid and what makes it such a notable topical? This guide will explain the benefits, side effects, different types of beta hydroxy acids, and offer some recommendations for beta hydroxy products for skin and scalp problems. What is beta hydroxy acid (BHA)? What’s the difference between BHA and AHA? What is bha or beta hydroxy acid? BHA or beta hydroxy acid is 1 of 2 of the better known hydroxy acids available in skincare for improving skin texture, speeding up skin cell renewal, and cleaning out pores of acne etc. The other hydroxy acid is AHA or alpha hydroxy acid. To learn more about AHAs, read our guide to AHAs or alpha hydroxy acids here. Unlike AHAs which are water soluble, beta hydroxy acids are oil soluble. This means that they are exfoliate the topmost layer of your skin and also penetrate deeper and exfoliate extra oil build up in your pores and breaking deep set comedones (bumps under your skin that will become acne). This makes BHAs great for treating whiteheads, and especially blackheads. BHAs have no humectant properties and can be drying so they are great for people with oily skin because they don’t make your face more oily. BHAs also do not increase photosensitivity. You can use BHAs even if you don’t wear sunscreen daily without making your skin more susceptible to sun damage. Beta hydroxy acid is also has anti inflammatory and antimicrobial properties that make it a great acne treatment. Many people who report AHAs to be too harsh in that they irritate their skin find that BHAs are a gentler way to tackle acne. Certain BHAs like salicylic acid can reduce acne inflammation without causing irritation. So what makes BHAs gentler than AHAs? The more concentrated an AHA or alpha hydroxy acid, the more powerful and penetrative it is. In contrast, beta hydroxy acids are most effective at very low concentrations. BHAs at only 2% or 4% concentrations work best to exfoliate dead skin, clean out your pores, and act as an anti inflammatory or anti bacterial. This also makes beta hydroxy acid an ideal ingredient for a lot of different kinds of skin care, from lotion or cleanser to toners or mouthwash. You’ll even find it in shampoos and conditioner to deal with scalp issues like dandruff or seborrheic dermatitis. Other uses for beta hydroxy acid are as a preservative, hair conditioner, skin conditioner, and an antiseptic. Beta hydroxy acids are a truly versatile skincare ingredient with multipurpose usage. And nearly anyone can use it for a host of skin or scalp issues because it works best at low dosages and so is a gentle product. While it works best at low dosages, it also better benefits your skin or scalp if you leave it on for some time before rinsing it off. The duration of time can vary with product and use. However, depending on what you’re using the BHA for, leaving it on for 5 to 30 minutes helps your skin absorb it better and take advantage of everything beta hydroxy acid has to offer. Because beta hydroxy acid is oil soluble, it penetrates deeper than your skin’s surface skin and can clean out clogged pores that cause acne. Studies show that BHAs like salicylic acid are more effective and less irritating than AHAs in tackling whiteheads, blackheads, and acne. The patients used a low concentration of salicylic acid in this study and the AHA used was a higher concentration. Still, the BHA showed longer lasting results in tackling acne and was a gentler treatment for acne patients. This is not to say that there is no place for using an AHA or using a BHA and an AHA together in your skincare routine. But to determine if you could benefit from an AHA, you’ll need to understand its benefits and side effects first. Use our guide to AHAs to learn more about alpha hydroxy acids. How does BHA treat hyperpigmentation or inflammation? Beta hydroxy acid also helps tackle inflammation caused by acne and hyperpigmentation caused by acne or other pigmentation on the skin’s surface. This is also known as post inflammatory hyperpigmentation or PIH or melasma. Like AHAs, beta hydroxy acid helps speed up the skin cell renewal at the skin’s surface. This helps remove hyperpigmented skin layers for newer skin layers. AHAs may be more effective in this but beta hydroxy acids also show good results. The groups that were using only salicylic acid or only tretinoin did not see notable results in reducing their post inflammatory hyperpigmentation. This is great evidence that salicylic in combination, with in this case tretinoin, can act as a powerful treatment to reducing post inflammatory hyperpigmentation. Those of you who used to have acne and are now dealing with the aftermath know how difficult it is to reduce the post inflammatory hyperpigmentation to have a truly clear face, without acne and without acne scars and pigmentation. So this study is great news for people with post inflammatory hyperpigmentation. How does BHA treat dandruff? As beta hydroxy acid helps remove the top most layers of skin, it can also help treat dandruff on the scalp in the same way. Given the antibacterial, anti inflammatory, and the exfoliating properties of beta hydroxy acids, they can act to soothe itching and reduce dandruff, redness, and flaking. So salicylic acid can be as effective, if not more, than a zinc pyrithione in reducing dandruff. Zinc pyrithione is certainly more popular in dandruff shampoos today. Many people also find it is very harsh on their hair, but with not knowing of another alternative, continue to use it. Salicylic acid is gentler on the scalp without losing effectiveness and so could be a better option for you if you suffer from dandruff. Beta hydroxy acid is an active, which means that it is an ingredient that has direct active action on the skin. Other actives include alpha hydroxy acids (AHA), Vitamin C, and Vitamin A (retinoids and retinol). There is some controversy over this, but we believe that to benefit from an active, you should leave it on your skin for a short period of time before applying further products or washing it off/out. This time period allows the acid to make contact and penetrate your skin and do what it is intended. If you wash it off, you may not have allowed enough time for the acid to penetrate into pores. BHAs work best in a low pH environment. When you add more products on top, you may change the pH of your skin to less acidic and so make the BHA less effective. If you’re using a BHA as a skincare product, you can even use pH adjusting toners to make sure your skin’s surface has an acidic environment when you apply your BHA for maximum benefit. We’ve linked some pH adjusting toners that help with this at the end of this guide, if you’re interested in those. That’s essentially a very short and summed up explanation of how to use BHA. We’ll write a longer post on this and link it here when it’s ready if you’re interested in real studies that show the effectiveness of BHA wait times in low pHs. So to that end, you’ll notice on dandruff shampoos, the directions will ask you to leave it on your scalp for a few minutes before washing it off. You may also notice skincare products with beta hydroxy acids will ask you to wait 5 to 30 minutes before applying the rest of your skincare routine or makeup routine. This is for good reason and you’ll see greater benefits to your skin if you give the product that wait time to work on your skin. While BHAs have been shown to be less irritating than AHAs and other actives, they can still have some adverse side effects. Some people can experience redness, stinging/burning, itching, and general skin irritation after using beta hydroxy acid at certain concentrations. This can be avoided by finding a concentration that works for you. Various formulas will have different concentrations and type of beta hydroxy acid. Unless you’re allergic to this ingredient, most people can find a beta hydroxy acid that works for them. If you’re unsure where to start, find a low concentration to use and then build up from there if you don’t know notice any side effects. Also, please patch test if you’ve never used a beta hydroxy acid before. You can patch test on your neck or the inside of your elbow where the skin is soft and hairless. If you experience any of the above side effects during your patch test, there are good chances that you will feel that irritation on your face as well. You can look at a different product with a lower concentration and try again. AHAs are water soluble and attract water to your skin and are great for dehydrated skin. BHAs are oil soluble, can be drying, and are great for oily skin. However, anyone with any skin type can add either to their nighttime routine (when it doesn’t matter if your skin looks oily, or you can layer moisturizers on top in abundance) and enjoy their benefits. AHAs will make your skin more photosensitivity and BHAs will not. If you’re lazy about wearing sunscreen or do not want to wear sunscreen, you can use beta hydroxy acids without worrying about making your skin extra sensitive to the sun and sun damage. Both AHAs and BHAs exfoliate your skin, and so both can help reduce wrinkles and fine lines. While AHA is a much strong exfoliator for wrinkles and fine lines, you’ll notice some improvement with your skin texture and pigmentation with a BHA as well. BHAs are gentler than AHAs and so are less irritating. BHA has been shown to be effective treatment for hyperpigmentation and inflammation caused by acne. However, both can be also used together to improve pigmentation, skin texture, and renew your skin. The most popular form of BHA we find in skincare and haircare products is salicylic acid. There are also derivatives of salicylic acid like salicylate, betaine salicylate, and sodium salicylate. Other less common forms of BHA include willow bark extract, beta hydroxybutanoic acid, tropic acid, and trethocanic acid. If you enjoy the benefits of any of these beta hydroxy acids, you can also look at azaelic acid. While it is neither an AHA or a BHA, it is an active ingredient that offers many of the same benefits like improvement pigmentation, inflammation, acne, and skin texture like a BHA. Many people find that it is a BHA amplified and at lower doses/percentages, it is similarly gentle on the skin. Here are some of our tried and tested recommendations for products with beta hydroxy acid for skincare and for dandruff. You may not find these at a drugstore, but they’re all online. Since BHA is best used at a low concentration, there are many beta hydroxy acid products available over the counter with no need for a prescription. Since BHAs are pH sensitive, you can also choose to use a pH adjusting toner before you apply your skincare. In the next section, see our recommendations for affordable pH toners. This is one of the most gentle BHAs we have tried. The active ingredients include alix Alba (Willow) Bark Water, Butylene Glycol, and Betaine Salicylate at 4% which is the BHA derivative. This is an Asian Beauty product by COSRX, a well-reviewed dependable Korean brand. Highly recommend. Read more reviews of Cosrx BHA Blackhead Power Liquid here. Another great go to BHA with 2% salicylic acid by Paula’s Choice, a US based brand. Paula’s choice is a popular brand that offers a host of skincare products that aren’t just good markting but also effective. We have found that Paula’s Choice Skin Perfecting 2% BHA Liquid is particularly good at eradicating blackheads on the nose or chin area. Read more reviews of Paula’s Choice Skin Perfecting 2% BHA Liquid here. This is a AHA and BHA combination product and so requires daily suncreen use if you want to use it. It should also be used as part of your night time routine. Skin Medica combines a 30% AHA solution with a 2% bha in the form of salicylic acid. It can be used as a 10 minute mask and then washed off or kept on as part of layered night time routine. We’ve found that with a few uses, there is a noticed increased brightness, hydration, and a visible reduction of acne scars or sun damage. There is no smell to the product and the cream consistency feels rich yet absorbs quickly. Read more reviews of Skin Medica AHA BHA cream here. Face washes with salicylic acid as an ingredient are very popular, esp for those who suffer from acne. They’re seemingly easy to use and can be inserted into nearly anyone’s evening or morning routine because a face wash is easier to use than a serum that requires a wait time. But the wait time is the also reason we wouldn’t recommend a lot of salicylic acid face washes over a serum or lotion. A face wash doesn’t give the salicylic acid a lot contact time on your skin to act. As we discussed in this guide, the contact time allows the acid to work and penetrate your skin. So between a face wash or a serum/lotion, we recommend using a serum/lotion that you leave on your skin for an extended period. Intrigued by our mention of Azaelic acid as a stronger better BHA-like acid? Azaelic acid is far more popular as a drugstore produce in Europe than in the Americas or Asia but is gaining in popularity as people find out about its amazing skin benefits. We have found that Azaelic acid does nearly everything a BHA does but with even greater results. Unlike BHA, the higher the percentage of Azaelic acid the stronger it is. However, it is best to start with a lower percentage and build your way up, because otherwise you may experience several peeling or can end up with a damaged moisture barrier. 1. 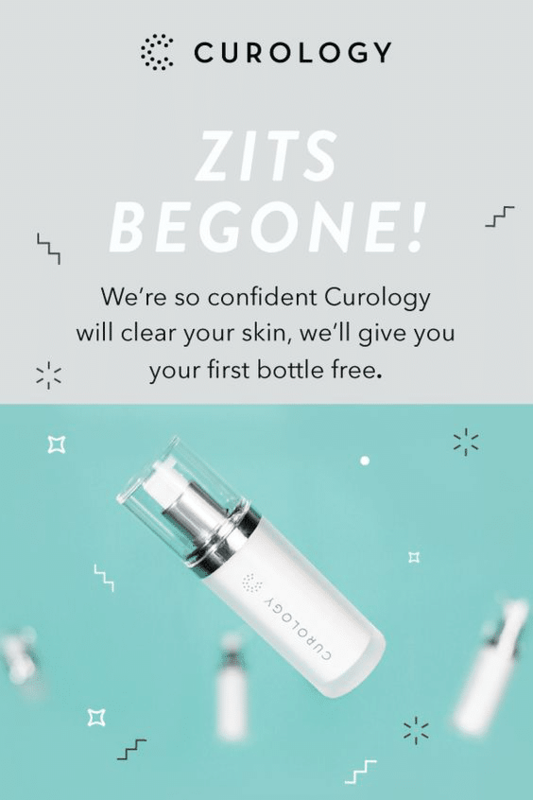 Curology – offers a formulation tailored to your skin and issues with a focus on anti-acne and anti-aging. It’s essentially a telederm service in which you get a prescription after you upload some photos of your skin. They will start you off with a gentle low concentration formula to make sure you don’t irritate your skin, and if you feel that it is going well then you can check in with your assigned dermatology provider to up your prescription in a few weeks. It’s also very cost friendly, averaging out to $19.99/month for a tailored formulation for your skin. If you want to try Curology, you can use this link to try it for 1 month for free.